You are here: Home » Latest News » Do Automated Gates Work in a Power Cut? Automated gates are a fantastic addition to a property, whether commercial or domestic, offering protection and aesthetic quality in equal measure, as well as convenience of entrance and exit for authorised people. Whether you’ve got a wrought iron automatic gate or a wooden one, ensuring it functions correctly and consistently should be a priority, but what happens if your property suffers a power cut? You will have been provided manual release instructions at the time of commissioning, however the team at Strand Systems are here to advise on what you need to do with your electric gate if your power supply fails. Most automatic gates will have a manual release mechanism built into them to ensure the gate can still be operated without power. This mechanism is operated by a key, inserted into a lock and turned so that the motor drive is disconnected from the gate shaft for underground automation, and internal the locking is released internally on aboveground operating arms on the gate, allowing it to be opened manually. Where the gates are fitted with a magnetic lock the loss of power will release the lock and the gates can then be slowly pushed open. Also the gates can be secured by an electric lock, which will be released by a key and the gates can then be slowly opened. Do I need a battery backup? 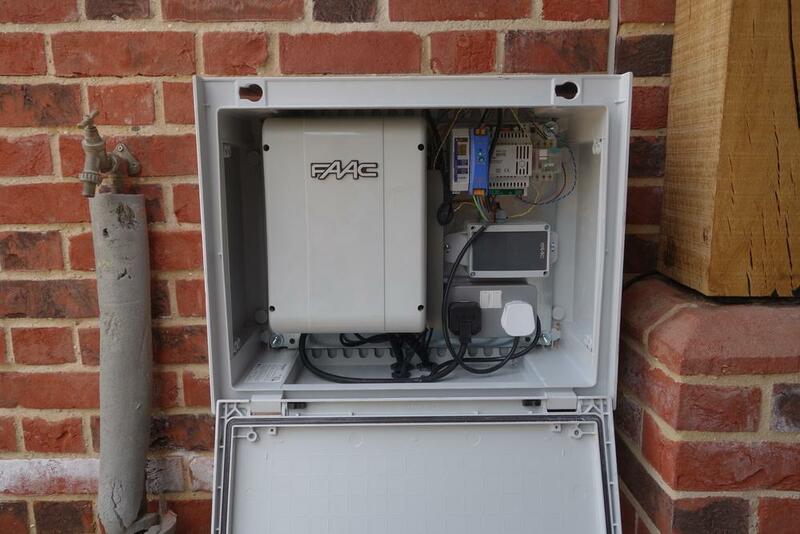 Battery backup can be installed to 24V automatic gate systems and can save you a lot of hassle in the event of a power cut. The backup would kick in immediately if the power supply fails, so you don’t have to wait until you try to get out or into your property to find out that your gate has stopped working. A backup will allow you to make full use of your gate when there’s no power, being able to operate the gates up to approximately 10 times off the battery. Not only is this a matter of convenience, but it also keeps the security of your gate intact, preventing unauthorised personnel getting in through faulty gates. Do I need to have my automated gates serviced? In short: yes. Having your automated gates serviced regularly can save you time, money and hassle in the long term. For example, checking the correct operation of the battery back up and life of battery. Consider a scenario where your gates break without warning: there’s no guarantee you’ll realise straight away, which means you may discover the fault at the most inconvenient time. Secondly, you’ll have to call out a professional repair service, which may take a while to arrive, and said repairs would cost more than a service. Strand Systems’ automated gate servicing provides reliable and effective maintenance that ensures your gate is fully compliant with all relevant safety guidelines and regulations. From force testing to automation testing, we endeavour to check every aspect of the gate’s functionality, and anything that needs rectifying will be seen to or reported to the client. For more information about our automated gate servicing work, please contact us today and we will be more than happy to help you with anything you need.